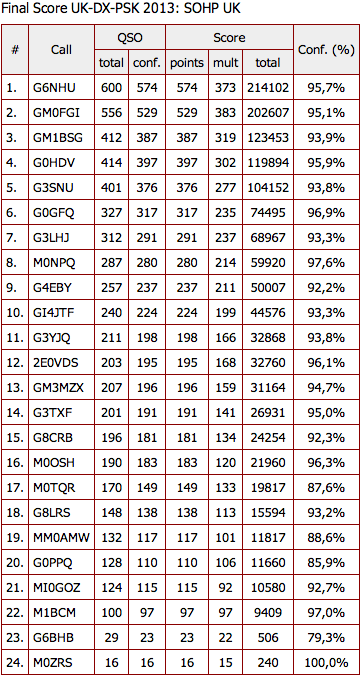 In January I entered the UK DX BPSK63 contest, the claimed scores showed that it was very close at the top. The results have been published and I’m happy to report that after adjudication, I kept first place and although you can’t see from the image below, my score was the highest of any UK entrant in any section. I like this contest – UK stations are worth three points for anyone outside the UK so we’re in demand. Our scores can never be compared to entrants outside the UK because we only get one point per QSO, no matter where the other station is. 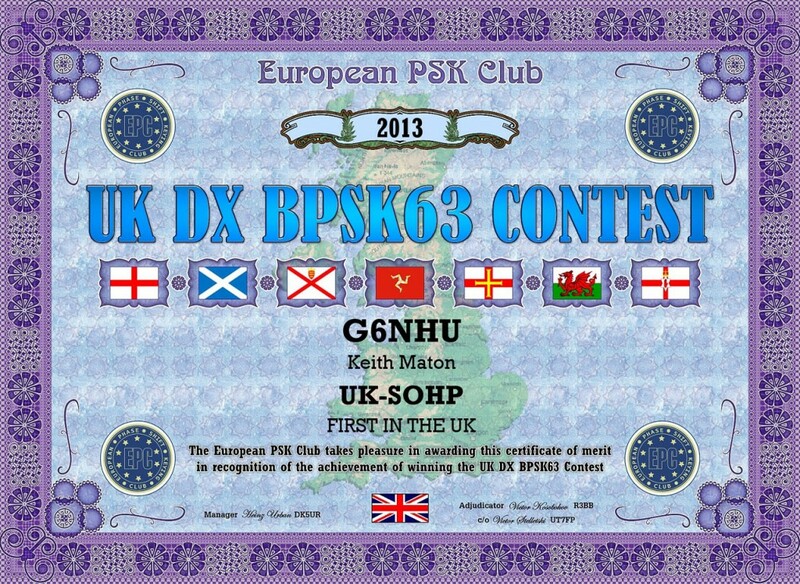 This entry was posted in Amateur radio, Contesting, Data, HF, PSK and tagged PSK contesting, PSK63, UK DX BPSK63. Bookmark the permalink.